Being overweight is one of the main risk factors for developing diabetes. If you fall into the at-risk category you can reduce your chances of developing type 2 diabetes if you make sure to eat a healthy diet and lose weight if necessary. The key to healthy eating is eating regularly, watching your serving size and following a healthy eating plan that is low in refined sugars and fat. Eating a wide variety of foods is the key to ensuring that you get all the nutrients you need. High in fruit and vegetables. Pay attention to the amount of carbohydrate on your plate because very large portions may increase your blood sugars and contribute to you eventually developing type 2 diabetes. Large amounts of carbohydrate may also lead you to put on weight, which is another risk factor for type 2 diabetes. Carbohydrate is one of the main sources of energy in our diet and also provides fibre, vitamins and minerals. It comes from starchy foods like bread, cereals, potatoes, pasta and rice and from sugary foods like sweets, minerals, cakes, biscuits, desserts, jam and tea or coffee with sugar added. 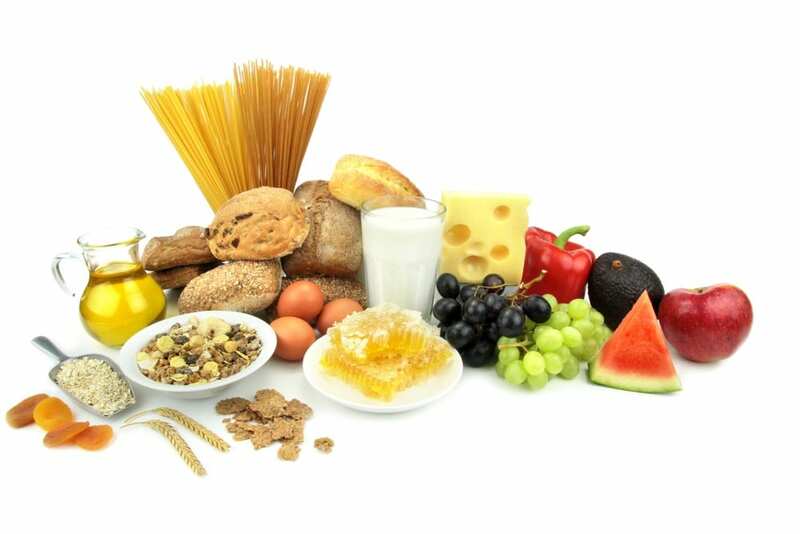 For a healthy diet, choose carbohydrate foods that are high in fibre like wholemeal bread, wholegrain breakfast cereals, jacket potatoes and wholegrain rice and pasta. These help to keep blood sugar and blood fat (or cholesterol) levels down, prevent constipation and help to fill us up – useful if you are trying to shed some weight. But be aware – too much carbohydrate may also lead you to put on weight so be careful that your portion sizes aren’t too big. To shed those extra pounds, you must either decrease the amount of calories you are eating, or increase the amount of calories you are burning by being more physically active – and ideally, you should do both. It will help you to stick to your new regime if you sit down and carefully plan your meals for the week and your shopping list. You will also probably need to de-junk and get rid of any temptations before you start. Your first aim should be to avoid putting on any more weight. Once you have stopped gaining weight, you can then work on losing some of those extra pounds. Aim to lose no more than one to two pounds per week. If you lose too much weight too quickly (more than two pounds a week), you’ll probably end up putting most of this weight back on again. Fruit (have a bowl of fruit salad with fresh and tinned fruit in its own juice made up in the fridge). Plain biscuits, for example Marietta, Rich Tea, Digestives, Fig Rolls. If you are particularly hungry, try a bowl of cereal with low fat or skimmed milk, or a slice of wholemeal bread, or a few crispbreads topped with a tomato or banana. Anyone who has ever tried to stay on a diet for any length of time will know that two very significant factors are willpower and motivation. Changing the habits of a lifetime is difficult. Identifying the triggers which make you over-eat, or eat the wrong foods, is a very important part of changing your lifestyle. Working on methods to avoid these triggers is what behaviour modification is all about. Many people find that keeping a diary of what they eat, when they eat and why they eat is very helpful in identifying times when they are most at risk of straying from good eating habits. Rewarding yourself (with a non-food item) when you have been successful in losing weight can also help to keep your motivation level up. If you are obese or overweight and trying to lose that weight, don’t think of it as ‘dieting’. Think of making small changes to your daily eating habits. The key to losing the weight and keeping it off is making gradual changes to your eating and exercise habits, which are simple, enjoyable and sustainable!